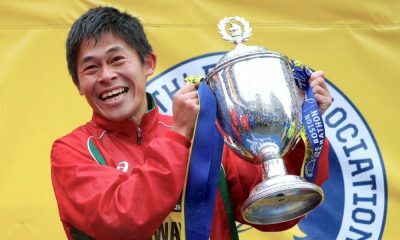 The European 1500m champion is among a 20 strong GB team set to compete in Stirling next month. 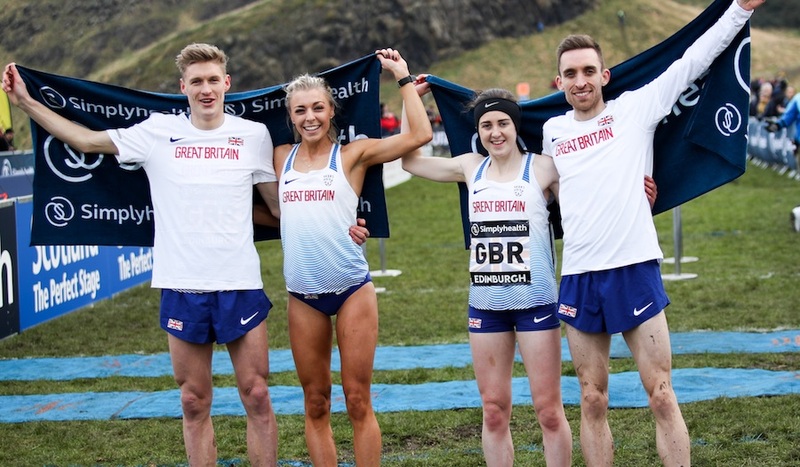 Laura Muir will run in the mixed relay event for Great Britain at the Great Stirling XCountry on Saturday, January 12. Muir will anchor the relay team of Phil Sesemann, Alex Bell and Jamie Williamson, who formed part of the relay quartet in Tilburg. The double world indoor medallist, who also took the 1500m Diamond League title in Brussels in August, makes her fifth straight appearance in the 4x1km relay team. The event, which is taking place in Stirling for the first time having been held in Edinburgh since its inception in 2007, pits Great Britain against a European team and USA contingent. 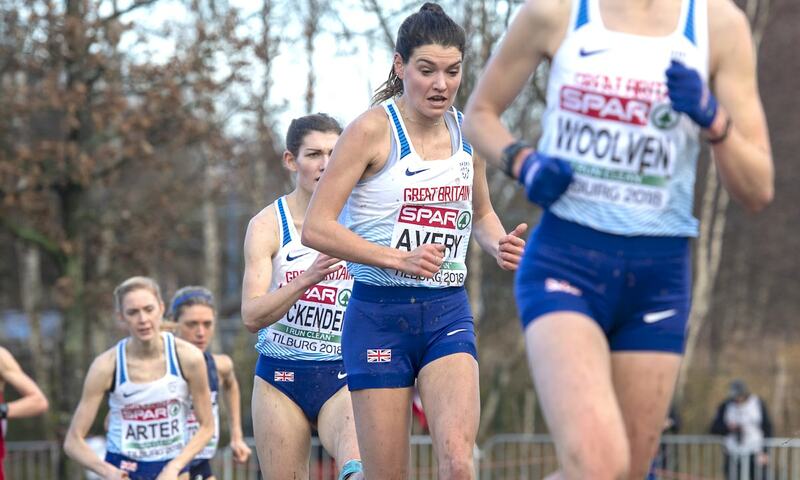 Kate Avery, who took team silver at the European Cross Country Championships in Tilburg on Sunday and won the Great Edinburgh XCountry in 2016, joins top Brit from Tilburg, Charlotte Arter, with fellow team silver medallists Pippa Woolven, Jess Piasecki and Verity Ockenden also named. 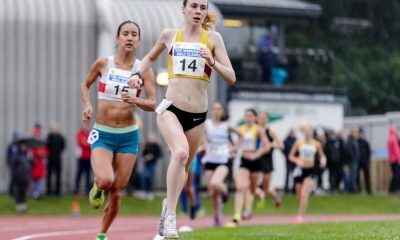 Emily Hosker-Thornhill completes the senior women’s team after running a terrific 32:52 personal best at the Telford 10k last weekend. 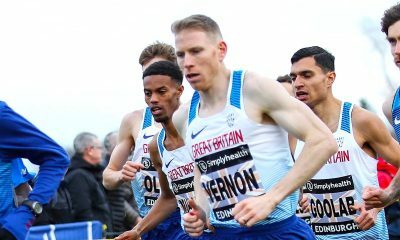 Andy Vernon has taken three individual medals at the event and is back in a British vest having missed Euro Cross through injury, with senior men’s team silver medallists Charlie Hulson, Kris Jones, Ross Millington and Nick Goolab all earning another senior vest. In total, 13 medallists from the 2018 European Cross Championships are selected, including under-23 team silver medallist Patrick Dever, who recorded the best finish of his career to date with an individual fifth place, earning himself a first senior British vest. European under-20 women’s team gold medallist Grace Brock, who finished 11th on her British debut in Tilburg, joins under-20 men’s team silver medallists Matt Willis and Jack Meijer in the junior mixed relay, with Charlotte Alexander also included. 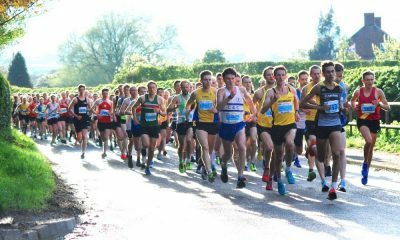 “Following yet another strong performance by the British at last weekend’s European Cross Country Championships, we are delighted to be able to name such a strong team for the Great Stirling XCountry next month,” said Team Leader Chris Jones. Senior men: Patrick Dever, Nick Goolab, Charlie Hulson, Kris Jones, Ross Millington and Andy Vernon. Senior women: Charlotte Arter, Kate Avery, Emily Hosker-Thornhill, Verity Ockenden, Jess Piasecki and Pippa Woolven. Senior mixed relay: Alex Bell, Laura Muir, Philip Sesemann and Jamie Williamson. Junior mixed relay: Charlotte Alexander, Grace Brock, Jack Meijer and Matt Willis.